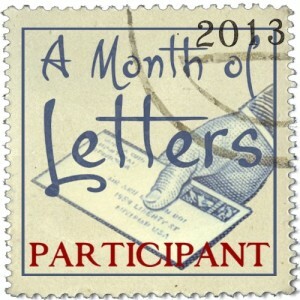 I have just completed the Month of Letters Challenge. The purpose is to send a letter or card or something by mail every day during February, in an attempt to revive the tradition of writing letters. During my teens and twenties I had many penpals around the world, and also wrote to relatives every week. At first I wrote letters by hand, and later typed them on the computer. Letters took a few days to reach their destination, and so there was a delay between sending them and knowing the recipient had received them. An exchange could take two weeks or more. More recently I have kept in touch with my remaining penpals and relatives by email, and also through Facebook. This is a rather different experience to writing letters. With email you know it will arrive almost at once, so there is a tendency to write more frequently, but shorter messages. And on Facebook it is possible to communicate privately, but people tend to comment on each others' status updates and photos, so everything is said in public (or at least in view of other friends, depending on your settings). My tendency on Facebook is to be less controversial and less personal than I can in private correspondence. 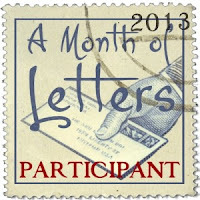 The challenge was fun, and in some ways more difficult than NaNoWriMo. While my daily word count did not have to be as high (though three of my letters reached the average daily word count I would do for NaNoWriMo), each letter was a complete piece of work rather than a work in progress, and it had to be sent out that day rather than left for later revision. I was aware that my recipient would be reading it within days, while the novels I have written during NaNoWriMo have yet to be read by anyone else! I didn't want to use this challenge to make new friends, but I did use it to reconnect with two of my past penpals. One of them recently found me on Facebook (which has happened with several others over the years), and I sent another an email recently, which turned out to be good as she had lost all her email contacts. I also managed to send a parcel, a birthday card, and some newspaper clippings. I wrote a couple of letters by hand, but my writing has deteriorated and my hand now gets very tired, so I really prefer typing. I consider myself as part of an intermediate generation. I grew up knowing I would be a writer and expecting to own a manual typewriter. I started owning and using a computer around age 20, and now use it for many hours a day, for work, communication, education, and entertainment. However, I still love physical books so I don't yet have an ereader, and I still enjoy physical letters, though it makes more sense now to use email. I hope the analog, such as physical letters and books, can continue alongside the digital. I too enjoy writing and receiving mail, snail mail, but I wish I didn't spend so much time on the computer and wrote more!Thank you for sending me a letter too.AriadnefromGreece!